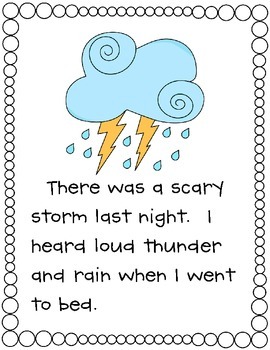 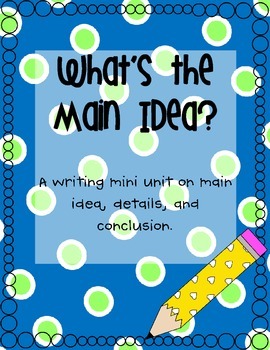 This writing mini unit is designed to help your kiddos learn about main idea, details and conclusions and how to add them to their writing. 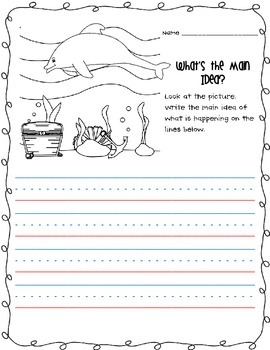 It is a unit that builds upon their knowledge lesson, by lesson, and it's all you need to a few weeks worth of lessons! 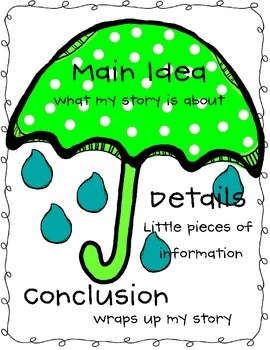 I use an umbrella to help out with the concepts of main idea, details, and conclusion which is what the poster demonstrates.